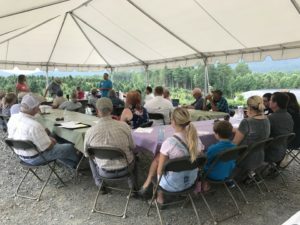 TCTGA has several meetings each year. These consist of field days, conferences, and our annual business meeting. 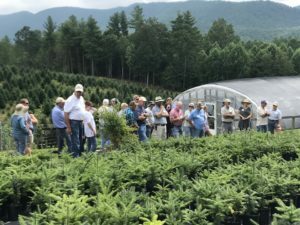 Christmas tree growers will have a Farm Tour on Saturday, March 23, 2019 at Country Cove Christmas Tree Farm in Murfreesboro, TN. This event will happen rain or shine. Our main sessions will be inside a large, heated tent with tables and chairs. Wear appropriate clothing and bring boots, umbrella, etc. Check our Events listing for details on upcoming meetings and other events.